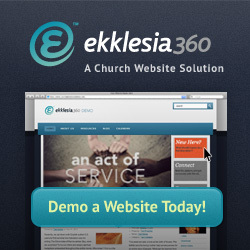 Find a Sermon: use Sermon Cloud to find a sermon! See Popular Sermons: use Sermon Cloud to find all time favorite sermons and recent popular sermons! Preachers: use Sermon Cloud to syndicate, podcast, publish, and manage your sermons online. The modern Evangelical Church has become preoccupied with worship style. At some point we need to stop and compare how we worship to God's Word and see if it pleases Him. It may not matter what style we choose to worship with, but the heart we bring to worship does matter. Tonight, we discuss David's insight on how to worship God properly. Tonight we take a look at Philip and what God had planned for his life. Focus on the Family will host a “celebration of life” event in New York City’s Times Square on May 4th. On today's program, Mark and Trina share on the importance of the Word of God. You may have small faith right now, but as you meditate on the Word your faith will grow.